Contact us	View our showroom	You can now control your blinds from your Amazon Alexa or Google Home. Formed in 1978, Humberside Sunblinds are one of the leading blind suppliers and installers in Lincolnshire, providing a first-rate service to the whole region. With a huge range of pleated, vertical, roller, blackout, Venetian, wooden and electric blinds available, alongside a selection of awnings and canopies, you’re sure to find the right made-to-measure blind for you at Humberside Blinds. 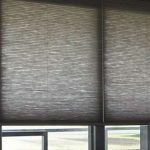 We combine the personal touch of a family-run business with the value and efficiency of a bigger company and are completely focused on offering the very best made-to-measure blinds service possible to you. This includes free home visits to both discuss your needs and to measure your windows or conservatory for fitting. We also provide commercial awnings and canopies to businesses throughout Grimsby, Immingham, Cleethorpes and beyond, adding that touch of style to your shop front or mobile unit.